The Donegal ICT/FinTech Working Group invites parents, teachers, post-primary school Guidance Counsellors and Principals along to two upcoming information events to find out more about career, education and training opportunities for their children and students in the areas of ICT/FinTech in Donegal. 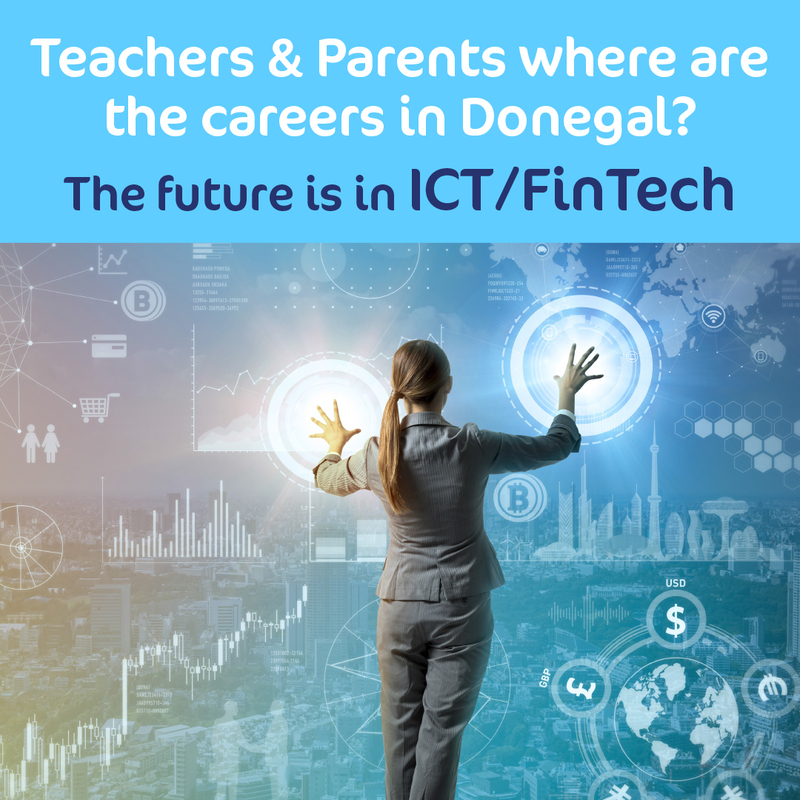 The Donegal ICT/FinTech Working Group is comprised of many leading international employers based in the county including Pramerica, Optum, SITA, Randox, Gartan Technologies, ERNACT, and supported by Donegal Education Training Board (ETB) and Letterkenny Institute of Technology (LYIT). A recent report published by the North West Regional Skills Forum identified the ICT/FinTech sectors amongst the fastest growing in the region with significant numbers of new high tech jobs being created in the coming years. The working group is hosting two events on the 11 and 18 October aimed at parents, teachers, Guidance Counsellors and Principals. The companies will highlight the career opportunities in a range of disciplines including IT, finance, business, marketing, engineering, law, design and sciences. LYIT and Donegal ETB will also promote their wide range of programmes that support the industry needs. If you are interested in finding out more, come along to one of the upcoming events. Admission is free and complimentary refreshments will be served at both events from 5.30pm.